The CDS Scholar-in-Residence Program provides workspace, equipment and technology for a scholar working on a project that makes substantial use of NYUAD Library and CDS resources. The CDS Scholar-in-Residence for 2018/19 is Kaustuv Kanti Ganguli, a Post-Doctoral Associate in Machine Learning in Musicology and member of the Music and Sound Cultures Research Group at NYU Abu Dhabi. Kaustuv Kanti Ganguli is a professional vocalist, an engineer, and a budding musicologist trained in Hindustani music tradition. 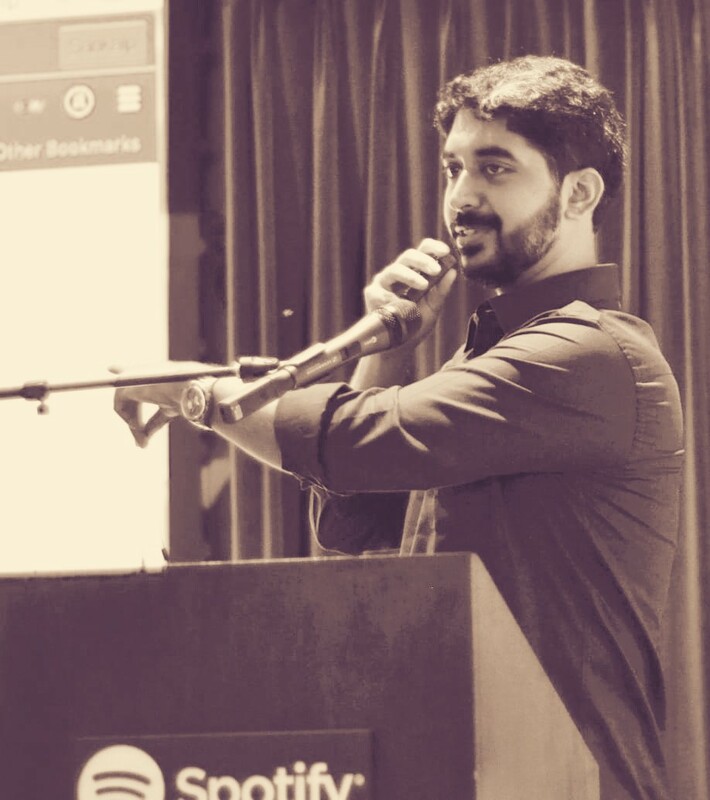 After finishing his PhD at the Indian Institute of Technology Bombay, India, Kaustuv has joined the New York University Abu Dhabi, UAE, as a Postdoctoral Associate in Machine Learning in Musicology. He has also been an invited research fellow at the Music Technology Group in Barcelona, Spain. Kaustuv has got several invited talks, international journal and conference publications to his credit. His thesis work includes research on artificial intelligence in music, with a focus on computational musicology. Kaustuv has been performing in various cities of India as well as abroad and is a recipient of several prestigious accolades. Kaustuv‘s vision is to promote experimental works on music production, analysis, and pedagogy with a view to converging his knowledge in music and technology fronts.